After the Android Marshmallow and Nougat, the beta version of Android O is available and the third preview from developer has landed in the market. But being a user, you must be thinking of what are the brand new features of this Android update, how one can download it, what is the name of this update and when the ultimate version is to be introduced? Read on the concerns of this article to know more on everything that you need to know on Android O. 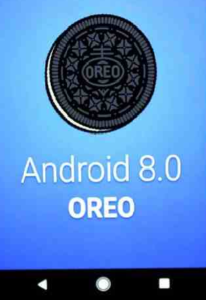 During its I/O developer conference in 2017, Google spoke about the features which were previously announced during its latest release of Android O, discussing about the more improved notifications and features that will be offered by the new OS. There is still no name for this strange Android O; however there is the beta version available which is faster when it comes to installation and it is also more stable than its previous developer preview. Google has its constant efforts of maximising the battery life of the phones and this started with Android Nougat. Google reports that they have increased the limits of the things that the apps may keep performing in the background in a few key areas like background services, broadcasts and location updates. Such transformations can make it simpler to design apps which have minimum impact on the device of a user and its battery. Limits on background apps show a noteworthy transformation in Android and hence they want all developers to get acquainted with them. According to something that was seen in a recent report, Google will now bring the new feature called picture-in-picture which allows users to keep seeing videos as they’re working with some other apps. When they do so, the apps will automatically transform themselves in PiP mode. In short, when you have Android O, you can watch YouTube videos even when you can send boring mails to your office. With the new update, Google is all set to group notifications and transform them to channels which offer userd enough control over categories like app notification. Users are allowed to either block the behavior or change the same of every single channel, individually. You no longer have to manage all apps and their notifications together. You can also snooze notifications, which will be a welcoming change based on the endurance of an Android system. You will be able to snooze in 15 minutes, thirty minutes or 1 hour. One more feature that is new is notification dots which are indicators on the icons of apps that will prompt you that there are waiting notifications. This will look similar to iOS. Google is going to bring your most preferred password manager app in a similar way you deal with third-party keyboards. The Android users rely on a wide array of password managers to repetitive information and auto-fill log details which makes placing transactions simpler. Now it will be possible to make this take this app more effortlessly available throughout the world by platform adding to support for auto-fill. Google is also offering a new feature which will allow developers to utilize varied shaped app icons basednon the preference of the manufacturer. A handful of devices made by Google will be eligible for the beta and the lucky ones are Nexus 6P, Nexus 5X, Nexus Player, Pixel XL, Pixel and Pixel C. If you are intrigued by the features given above, wait for your phone to update.